The WooCommerce Member Discounts add-on for Restrict Content Pro lets you give your members automatic discounts on WooCommerce products based on their membership status. This is a great way to offer member rewards and set up tiered membership plans. This add-on requires Restrict Content Pro with a Professional or Ultimate license. 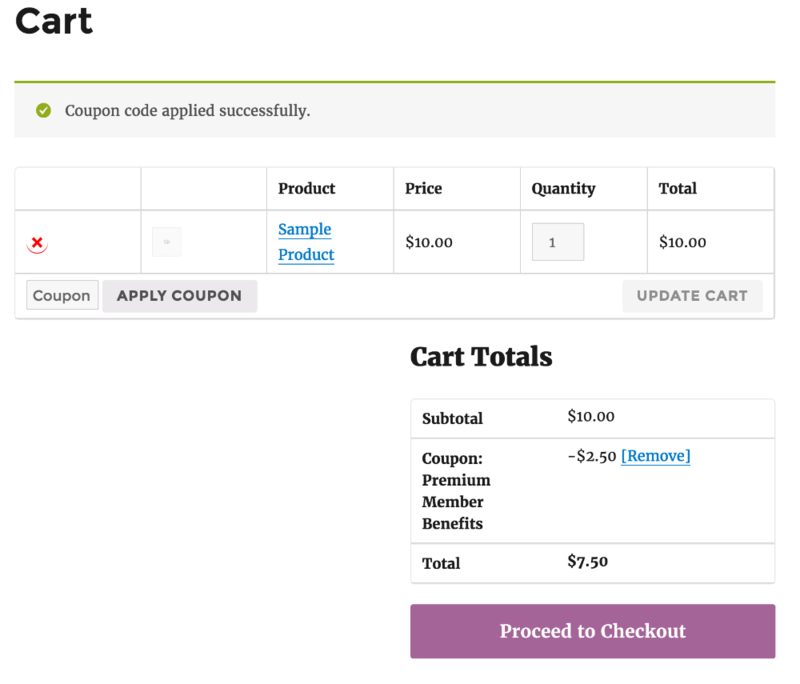 To set up the automatic discounts, go to WooCommerce → Coupons and add or edit a coupon. Select the subscription level whose members you want to receive the discount, choose whether or not you want to disable the coupon for anyone who doesn't have a membership, and save your coupon. It also works great with the existing coupon usage restriction settings in WooCommerce, allowing you more fine grained control over which products are eligible for a discount. That's all there is to setting it up! When an active member makes eligible purchases on your WooCommerce store, the coupon code is automatically applied to his or her cart. If a member’s subscription has expired, the discounts are not applied. Additionally, if you’ve selected the option to only allow active members to use the coupon, expired members and users without a subscription cannot manually apply the coupon either. This is a great way to ensure the coupons don’t get shared with others.